Sigala and Ella Eyre recently dropped the video promo for their new collaboration, ‘Came Here For Love’. The video was shot on location in Las Palmitas, Mexico, in the town’s hillside neighbourhood transformed by a giant rainbow-coloured mural by Mexican street art collective, German Crew (aided by the town’s youth). 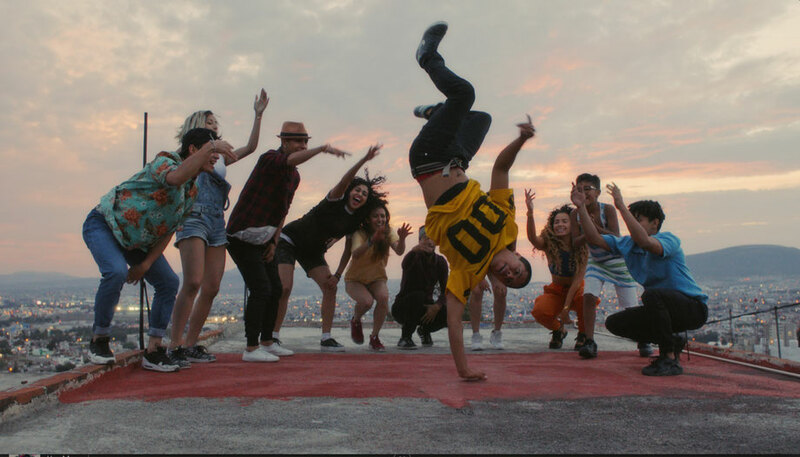 The video, made by Sigala’s regular video director, Craig Moore, features Ella and a cast of street dancers amongst the town’s painted facades and alleyways. Released 9 June by Ministry of Sound Recordings, Sigala’s ‘Came Here For Love’ is the 24-year old Brit’s eight single, and is possibly becoming one of his biggest records to date, with over 3.5 million streams and a debut midweek chart position of No.11 at the time. In less than two years, Sigala has earned two Platinum singles (plus a Gold, and two Silvers), 700 million online streams (Spotify and Vevo), and sold 2.5 million singles. In 2016, he was the most played British Male Artist across UK commercial radio in 2016 (and second most played artist overall). Earlier this year, Sigala apparently sold out all eight dates of his second UK live tour (having sold out the first last autumn), turning chart success into hard ticket sales with a show that’s brought a riot of colour back to UK dance pop. A new live tour will be announced soon. Meanwhile, Sigala’s key festival shows this summer include Creamfields, Tomorrowland, V Festival, and Pukkelpop, plus headline club dates from Ushuaia Ibiza to Las Vegas’ legendary Marquee Nightclub. Sigala’s rapid rise has seen him become one of the most successful dance producers of the decade. His debut single ‘Easy Love’ debuted at No.1, breaking Ministry of Sound’s pre-order record. Following two more Top 5 singles, ‘Sweet Lovin’, and ‘Say You Do’ (featuring Imani & DJ Fresh), he hit the Top 10 again with ‘Give Me Your Love’, his collaboration with John Newman and Nile Rodgers. He also collaborated with Craig David (who joined Sigala for his first Radio 1 Live Lounge session) on ‘Ain’t Giving Up’. To date, Sigala’s been tipped by Radio 1, Capital, Kiss, MTV, Daily Mirror, The Sun, Evening Standard, Popbitch, Digital Spy, Shortlist, Clash, Complex, SubSoul, and beyond. Already having a BRIT, a MOBO, a No.1 single and a Top 5 album - all before the age of 22 - Ella Eyre tore onto the scene as a fiercely energetic, lion-haired 19-year-old, lending her soulful voice to Rudimental’s chart topping single ‘Waiting All Night’. She picked up a BRIT Award for British Single Of The Year, co-wrote another UK No.1 single, Sigma’s ‘Changing’, won Best Newcomer at the MOBOs and finally, after a handful of high charting solo singles, released her top 5 debut album, ‘Feline’, in 2015.